Today we travel with JPH and OZturners managing director jarn Hanson to visit Ian Townsend on his retail compost production facility south of Stanthorpe on the Queensland New South Wales border. 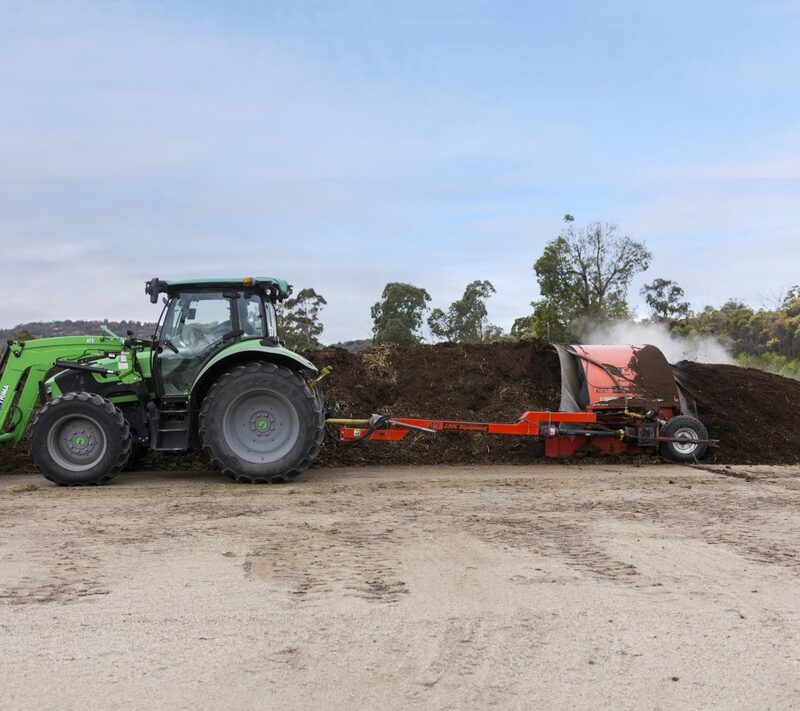 Ian has been particularly focused on reducing the production time and maximising his composting returns after starting with an end loader, he then purchased a JPH CT360 compost turner from Oz turners, that radically improved the quality and speed of composting. As you can see, Iain technique is to use the maximum wind row size and a slower turning speed produce a larger amount of compost for the same investment of effort. The JPH CT360 compost Turner’s efficiency means that normally only a single pass is needed as water can be added at the same time as turning, producing a richer and more finished product in as little as only 6 weeks.